[A/N]: Thank you guys for voting and commenting! Here&apos;s a chapter as promised! A few weeks has passed and instead of getting better, the omega&apos;s health has gotten worse. 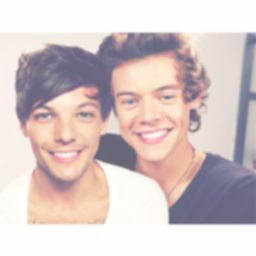 Louis is currently thirty-eight weeks pregnant while his best friend, Niall is thirty-four weeks pregnant. Harry ended up taking a time off from work to focus on his omega and gave his cases to another lawyer who continued working with his interns. He couldn&apos;t get enough sleep because he was always worried sick about his lover&apos;s health. Currently, Harry was watching his omega sleep and at the same time, he was texting the doctor to ask him if he should bring Louis in to the hospital or if it&apos;s just his paranoia. His phone started ringing and for a second, he thought it could be the doctor. He answered without seeing the caller ID because he was too busy leaving the room; not wanting his omega to wake up. "Harry, it&apos;s dad, don&apos;t tell me you deleted my number." Harry rubbed his neck and said, "No, I just picked up without checking who it was. Um, how are you and mom?" and started walking around in the hallway. "We&apos;re good, we haven&apos;t seen you two for almost two weeks. Is Louis doing okay?" At the mention of his omega, he let out an exhausted sigh while massaging his forehead. He said, "I&apos;m sorry, I&apos;ve been busy with Louis. He doesn&apos;t look good and I don&apos;t know if I should take him to the hospital," and bit his bottom lip nervously. "Harry, he&apos;s pregnant with triplets, it&apos;s not supposed to get better in his pregnancy. Just check his temperature every once in a while and if you want, mom and I could drop by." Harry leaned his back against the wall and said, "I took time off of work so I can take care of him anyway so I can&apos;t complain." "It&apos;s not a shame to ask for help sometimes, Harry." The alpha looked down at the empty floor and said, "I know that but you asking to help is appreciated." "Well, you have our number, just give us a call whenever you need help. Send Louis our regards and love." Harry smiled at that and said, "Thank you, dad," and after a moment, he decided to open up, "I just can&apos;t wait until this is all over, I hate seeing him like this." "You&apos;re doing a really good job and it&apos;s all going to be worth it once you see your babies right in front of you." The alpha was silence for a moment before he asked with a hint of insecurity in his voice, "What if I don&apos;t become a good alpha dad to my triplets?" "Harry... who and what made you think that? I know alphas who never cared and their kids turned out just fine. Not that I&apos;m saying that you shouldn&apos;t care; you should and you do and you&apos;re trying. That&apos;s all that matters." Harry continued walking around the hallway and said, "I just feel like I&apos;m not doing enough to help my omega through his pregnancy. How am I going to take care of three infants at once?" "Louis will help you with the triplets and as I said, if you need help then you can always ring us up. 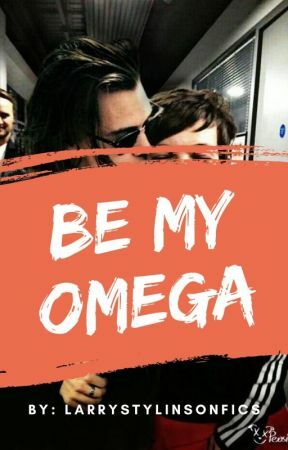 You also have your omega&apos;s family who are willing to help. You have Gemma, too and we are all here for you two." Then Harry heard his mother talk in the background: "Is that Harry? Put him on speaker." "Harry, you&apos;re on speaker and mom is here." Harry smiled and said, "Hi, mom," and they continued talking for a while until the alpha felt better. He needed to talk to his family in order for him to stop overthinking every single detail and questioning if he&apos;s good enough to be a father. Once he hung up, he went back into their shared bedroom and saw that his omega was still asleep. He decided to check his temperature and told the doctor the results to check if that&apos;s good or bad. Thankfully, the doctor said that there&apos;s nothing to worry about in that department. Then, Harry decided that he was going to go downstairs to cook for Louis. He played some music in the background as he cooked to calm down his nerves. In the tray, he added his vitamins and a bottle of water. Looking at the vitamins, he remembered the days where his omega would faint out of nowhere and that thought always worried him especially at this stage in the pregnancy. He needed to keep an eye on him even though he hadn&apos;t fainted in a long time. After he was done cooking the food, he put the food in a plate on the tray and then started carrying the tray upstairs to their bedroom. When he got there, he put the tray on the nightstand and sat on the edge of the bed as he watched his omega shift around in the bed at bit. Harry slowly started waking him up gently and without frightening him as he whispered, "Baby, wake up." Louis slowly opened his tired eyes and said in a confused way, "Harry? What&apos;s wrong?" The alpha smiled down at him and said softly, "Nothing&apos;s wrong, just made you some food," and helped him sit up on the bed but mostly Louis was leaning his limp body against him from how exhausted he was. He put the tray next to the omega while he went in behind him and brought him into his arms to play with his hair as he ate. Louis just leaned back into his alpha&apos;s arms and said, "I&apos;m sorry for being lazy these days," and started eating his food slowly. Harry wrapped his arms around his baby bump to rub it soothingly and whispered against his neck, "Don&apos;t be sorry for that, I understand," as he kissed their bond mark repeatedly and slowly in hopes that his omega would start to feel better. Louis looked down at his alpha&apos;s hands on his baby bump and smiled. He said, "They will be here soon, you know?" The alpha nodded against his neck and said quietly, "Yeah," and kept on looking at his baby bump the whole time while rubbing his thumb over the skin. Louis moved his head to the side a bit and said, "Are you nervous?" Harry stopped his movements to think about a reply and said, "I&apos;m trying not to be, honestly." His omega rested both of his hands on top of his alpha&apos;s and said, "I believe in you," and smiled up at him with the crinkles by his eyes. That&apos;s all it took for Harry to lean down and kiss his omega lovingly. Moments like these, Harry wishes he could marry his omega twice just to show him how much he truly loved him.